The Browns finally took the first step in the right direction by hiring longtime scout and former Kansas City G.M., John Dorsey in early December. Dorsey was the Director of College Scouting for Green Bay when the Packers won the Super Bowl in 2010. He was a big reason why Ted Thompson and the Packers drafted superstar players like QB Aaron Rodgers and LB Clay Matthews. After spending 21 years with the Packers organization, Dorsey left in 2013 and followed former Packers assistant coach and new Chiefs Head Coach Andy Reid to Kansas City as the team’s general manager. One of Dorsey’s first big moves with the Chiefs was acquiring QB Alex Smith from San Francisco for two second-round draft picks. He also selected key personnel in his four seasons there including OT Eric Fisher, WR Tyreek Hill, DL Chris Jones, TE Travis Kelce and CB Marcus Peters. 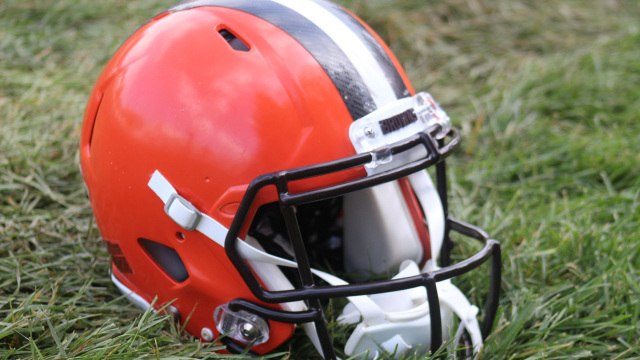 Since the Browns will be operating with 12 draft picks including five in the first two rounds and two in the first four picks overall, Dorsey’s history of understanding college talent was instrumental in the decision to hire him and help bring the Browns out of the NFL abyss. QB…Even though it’s hard to judge DeShone Kizer’s talent on a winless football team, he looked very much like the disappointing performer from last year’s Combine workout who continued to throw errand passes all throughout the season. Come to think of it, Kizer was a major reason why the team failed to win a single game and he’ll have to make huge strides during the off-season to hold-off the Browns eventual first-round rookie this April. The all-too-obvious move for Dorsey would be to re-acquire Alex Smith in March and add one of the top five QBs of this draft class in April. RB…Isaiah Crowell and Duke Johnson both saw their rushing averages dip this past season after stud tackle Joe Thomas went down in Week 7. Crowell is the team’s lone key free agent and might not return, while Johnson has solidified his standing as the best receiving running back in the league after leading the Browns in receptions (74) and receiving yards (693). Keep an eye on last year’s 7th-round pick Matt Dayes, who is the perfect back-up to Johnson thanks to the above-average receiving skills he demonstrated at NC State. Speaking of NC State, if Dorsey wants to add a major upgrade at the fullback position, he should take a long look at Jaylen Samuels who can help the offense in a variety of packages and is just the type of versatile talent this team can use. Dan Vitale has been the team’s top fullback during his first two years in the league and has the ability to line up anywhere on the field, but he’s been seldom used to this point with the exception of special teams and is nowhere near the athlete that Samuels is. Look for Dorsey to make a serious play at selecting Penn State’s Saquon Barkley with one of their top two picks. He might be the safest pick and best player in the draft. TE…First-round pick David Njoku led the team with four receiving TDs and has a promising future. Once he gets consistent play from his quarterback, Njoku could blossom into a top-level performer. Seth DeValve and Randall Telfer are underwhelming players who will have to fight for roster spots next season with a new personnel man in town. DeValve actually received the most playing time for the position after he was over-drafted in 2016 from Princeton. WR…This position might be better than you think since you have to take into account who was throwing them passes last season. If Josh Gordon can stay out of trouble, he has the already proven talent to become one of the best in the game. But that’s a big ‘if’ since he’s missed 54 of last 59 games the past three seasons to substance abuse issues. Don’t forget he once led the league in receiving yards (1,646) by a wide margin in 2013. Ricardo Louis led the team in targets (61) during his second season as a pro and made good strides overall. He still needs to become a more reliable pass-catcher, but he’s a hard worker and is one worth watching. Rashard Higgins played the most snaps (62%) of any receiver and had his best two games in Week 1 (7 for 95) and Week 17 (3-68-2 TDs). Higgins has great hands, is a solid run blocker and can play the slot. Corey Coleman was another Browns player selected a bit earlier than expected when he was taken 15th overall in 2016. He’s missed 13 games already with broken hands and has some personal baggage that continues to dog him. It didn’t help his confidence after he made the critical drop that cemented their winless season late against Pittsburgh. Overall, this is an inconsistent, young, yet talented group that can really use a veteran presence more than a draft pick. Would Jarvis Landry be willing to take more money to play in Cleveland? Since the Dolphins have one of the worst cap situations in the league, the Browns would clearly be able to outbid them for his services. But that would take a huge leap of faith on Landry’s behalf to trust the Cleveland organization was truly heading in the right direction. Of course it might help if Landry knew a veteran passer like Alex Smith was already in tow. A more realistic veteran option could be someone like Arizona’s John Brown. The free agent pickings are slim as of today, but expect the market to expand and offer additional options once some high-priced veterans are let go. The Browns can also offer a nice package including draft picks in a trade if the right receiver on the right team were to become available. OL…Don’t expect the Browns to invest much money or high draft picks at this position. As long as LT Joe Thomas makes a healthy recovery on the field from a triceps injury that ended his season in Week 7, this is a position the Browns don’t have to worry about for the immediate future. C JC Tretter and RG Kevin Zeitler were solid under-the-radar acquisitions last off-season, while LG Joel Bitonio made a successful return by starting all 16 games after missing 17 the previous two seasons combined due to ankle and foot injuries. RT Shon Coleman was finally healthy this season after battling cancer in college and dealing with a knee injury that caused him to miss most of his rookie season. Coleman has a promising future at the position. Another second-year lineman to make an impact was Spencer Drango. Drango had a decorated four-year career as a left tackle at Baylor, but took his lumps filling in for Thomas. His natural positon at the pro level should be inside at guard where he started nearly half the season as a rookie in 2016. At the very least the Browns now have a talented young player who can be the main swing lineman of the group. DE…The future here is bright thanks to last year’s top overall pick, Myles Garrett, who led the team with seven sacks even though he missed six games with ankle and head injuries. Garrett provides the organization with a major foundation piece who could be flanked for years by fellow defensive end, Emmanuel Ogbah. Ogbah benefited greatly by the hiring of new coordinator Gregg Williams, who switched the team to a 4-3 base which allowed the former Oklahoma State star to play at his more natural position. Unfortunately for Ogbah, he ended up breaking his foot Week 11 and missed the rest of the season. At the time of the injury, Ogbah was tied with Garrett for the team lead with four sacks. Carl Nassib is another former college star who had a rebirth in year-two. Nassib was the team’s most consistent and reliable lineman this season. He is a former Lombardi Award winner who set a Penn State single-season sack record with 15 ½. Nate Orchard is a solid rotation player who registered 18 ½ sacks during his final season in college. Like Nassib, Orchard was a Ted Hendricks Award winner as the nation’s top defensive lineman. But as a rookie, Orchard was moved to linebacker in the former 3-4 scheme and then suffered an ankle injury which derailed his sophomore campaign before making the switch back up-front this past season with better results. Orchard will need to make more plays though moving forward in order to prove he belongs in the mix. DT…Danny Shelton - the 12th overall pick in 2015 - struggled as a rookie before getting in better shape and now has become a run defending force the past two years. It will be interesting to see if he can add some interior pass rushing to his game after the way he terrorized opposing backfields in college. Shelton did miss a few games last season due to several minor injuries and actually played less than his interior partner and the much less renowned, Trevon Coley. Coley is a nice underdog story who went undrafted in 2016 and found a home here last season. He was a four-year starter at FAU where he was chosen as their team captain and MVP. Coley ended up getting more playing time last season (61% of the snaps) than any other player on the line. Another first-year contributor who started all four years in college, Larry Ogunjobi, could also be poised for a breakout year in 2018. The former Charlotte 49er was the face of their young program and soon could be making a name for himself with the Browns. In limited snaps as a rookie (28%), Ogunjobi displayed the same short area quickness he did in college and provided the Browns with another talented run-stuffing lineman. Speaking of underdog stories, Jamie Meder became a local cult hero in 2016 when he blocked a field goal late that season to help seal the Browns lone win of the year. Before the season started, Meder had toiled in obscurity after coming into the league in 2014 from tiny Ashland College in Ohio. He started 15 games at defensive end in the old scheme before moving back inside last season. Unfortunately for Meder, he suffered a high ankle sprain and missed the final six games. Meder is the type of player and fan favorite who will make it difficult for the team to cut. 6th-round rookie Caleb Brantley slipped in the draft after being charged for assault just days before it started. For a pick that many thought was a throw-away, Brantley did receive limited playing time (20% of the snaps) while registering a pair of sacks. He also had his assault case thrown out in May. Whether Williams or defensive line coach Clyde Simmons can get him to become a more consistent performer or not will ultimately determine Brantley’s fate for 2018. Simmons is a former All-Pro defensive end who did a fantastic job with the young group he coached for the first time. LB…When healthy, this is clearly one of the top 4-3 linebacker units in football. Jamie Collins is the unquestioned leader of the defense and his return from an MCL injury suffered on November 12th will make a huge impact for 2018. With Collins out, MLB Joe Schobert became the impact player of the group after a successful transition from the outside. Schobert is perfectly fit for this position thanks to his premiere tackling ability and ultra-competitive, aggressive style. Schobert ended up tied for the league-lead with 144 tackles, which was a major reason why the Browns defense ranked second overall in average yards per-rush-attempt. Weakside linebacker Christian Kirksey is another solid contributor who has registered 386 tackles over the past two seasons while playing two different positions. He received a contract extension following a breakout 2016 campaign after playing inside in the old 3-4 alignment. All three starters have high leadership qualities that can’t be underscored. James Burgess took over full-time for Collins and led the unit with 10 tackles-for-loss. He’s a solid young backup. CB…Jason McCourty was a smart acquisition who became the veteran leader this unit needed. Jamar Taylor is a decent No. 2, while Briean Boddy-Calhoun surprised many after a breakout season in the slot. Overall, this is an average unit that was fortunate all three players remained healthy. There is a definite need to add a franchise shutdown corner and more depth. Alabama’s Minkah Fitzpatrick has to be on Dorsey’s short list with the fourth pick. S…Derrick Kindred was another defender who enjoyed a breakout year under Williams. Every great defense needs to be strong up the middle, and thanks to Shelton, Schobert and Kindred the Browns have the players to make it work. Besides adding top run support, Kindred also led the team in tackles-for-loss with 11. He did miss the final two games with a wrist injury. First-round pick Jabrill Peppers dealt with growing pains for most of the season, but appeared to save his best for last which should be a confidence boost moving forward. If anyone can find a way to best utilize his talents it’s Gregg Williams. It would probably make more sense to add a veteran starting caliber safety to this group and allow Peppers to occupy a specialty role. Lamarcus Joyner, a free agent from LA, was a rookie with the Rams when Williams was running their defense and is coming off a great season. I was a big fan of his coming out of Florida State. Joyner was a terrific playmaker for the Seminoles national championship team in 2013. The Rams are in good shape with the cap, but the Browns have more to offer. Just imagine a backfield with added chess pieces like Joyner and Fitzpatrick. Rookie kicker Zane Gonzalez struggled early before ending his season making 13 of his final 15 kicks. He also nailed 2 of 3 from 50+. Punter Britton Colquitt was fifth-best in league average (47.6), but just 17th in net average (40.6) and 24th in kicks inside-the-20 (24 of 80). I don’t expect any changes here though. If I were the Browns G.M. I would seriously consider reuniting with Alex Smith. The NFL is a quarterback league and Smith would instantly buy the team a minimum of 4-5 wins. The short-term plan would be to begin building a winning culture before we could be serious about building a championship contender. With Smith on the roster, I would benefit immediately by having more draft options for the position, therefore not forcing my hand to reach for players based solely on need like a Josh Rosen or a Sam Darnold. That one move would also give me the freedom to use my top two picks on elite caliber talents like Barkley and Fitzpatrick. Then I would trade back into the first round with my plethora of picks to select one of the remaining QBs available between Josh Allen, Baker Mayfield or Mason Rudolph. And don’t forget, I still have DeShone Kizer as additional long-term insurance. Tune in to the Ourlads’ Football Radio Network for more in-depth details of every team on free agency and the draft with special guest analysts including Ourlads’ G.M. and National Scout, Dan Shonka, on such programs as Ourlads’ Guide to the 2018 NFL Draft. And make sure to order your 2018 NFL Draft Guide from Ourlads by clicking here. The Browns are just 4-44 over the past three seasons. The Browns haven’t finished above .500 since 2007. The Browns have not made the post-season since 2002. The Browns have not won a playoff game since beating New England in the 1994 Wild Card round.